What Surfaces Can Be Renewed? 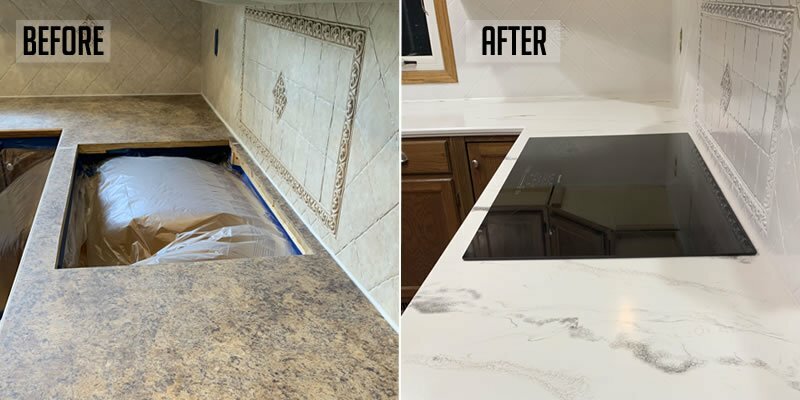 When it comes to updating the countertops in your kitchen, consider updating them with a resurfaced kitchen countertop or bathroom vanity done by Renew Resurfacing. Kitchens and bathrooms can be some of the most expensive rooms to update however, by refinishing the counter tops, you can save thousands! 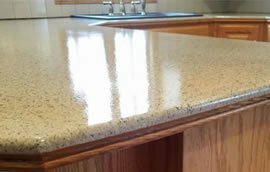 A refinished counter can look just like granite or quartz but is a more affordable, durable alternative. All our resurfaced kitchen countertops are custom done. 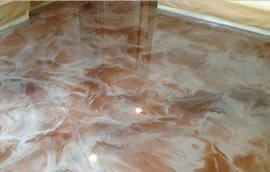 We can resurface all countertops, floors, or sinks with epoxy stone coat finishes or stone fleck. ​Renew Resurfacing is a small family owned business operated by Jim and Candy Work. Update the counters in your home for a fraction of granite or quartz counters with a resurfaced job by Renew Resurfacing! 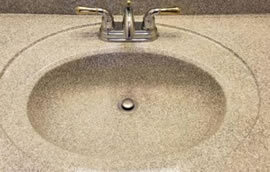 We have years of experience resurfacing and refinishing countertops. 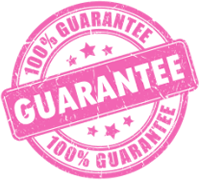 We use the highest quality material so you can rest easy knowing your counters will be built to last for years to come! In addition to being fast, counter top refinishing will save up to 75% over the cost of replacement. 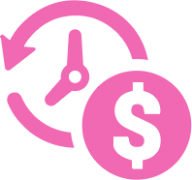 our customers have saved thousands of dollars! Your satisfaction is our highest priority. Our future success is built on your satisfaction, repeat business, and referrals. We aren’t happy unless you are happy. We had our master bathroom remodeled in 2010 and the person who completed the shower/sink did not put the finish on either. We stopped at Renew Resurfacing booth at the Spring Home and Garden show this year and asked them to come and take a look. Jim came out, said he could do it and made both look beautiful! 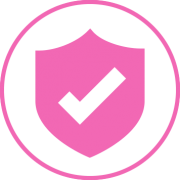 It was great to work with a business who does what they say they will do. Thank you to Jim and Candy for a wonderful experience! Highly recommend! What a breath of fresh air! I wanted to remodel my bathroom and another contractor came for an estimate and told me I needed to tear my shower out and replace it. I could not believe how much money they wanted to charge me to do this! My house is not that old so I found it hard to believe tearing the shower stall out was the only solution. Thank goodness we found Renew Resurfacing! Amazing, amazing work by Renew Resurfacing! I asked Jim if he could restore my kitchen sink and bathroom tub. I have a 1917 year home and when the original owner sold her home, the realty company had "work done" on the house. Unfortunately their choice in who they hired to do this work was a quick fix hire. There was absolutely no care, no craftsmanship and inferior products were used. Great work by Renew Resurfacing! 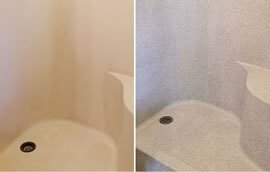 We had our countertop and tile done in our master bath and are very happy with the results. We now have an updated bathroom without the high cost of a complete renovation. Thank You! Renew Resurfacing is a great company that can save you thousands if you are looking for an updated look. Call Jim and they can transform your kitchen or bath. Absolutely Amazing results! A simple "renew" changed our kitchen and bathroom to look like we spent thousands on the new counters and sinks!!! I Highly recommend anyone considering to replace their sinks and counters or even tub and shower to First give Renew a try and save yourself hundreds if not thousands of dollars!!! Thank you Jim and Candy! I am more than pleased with the outcome of my bathroom sink and shower resurfacing! They look brand new and I'm thrilled!!! I highly recommend Renew Resurfacing. Thank you Jim and Candy for a great professional job. My countertops look amazing! I am beyond thrilled! Very reasonably priced too. Great people, and a much needed service for updating homes!